The PDF file format is one of the most popular when it comes to sharing documents for a wide variety of purposes, mainly because it's both operating system and hardware-independent. 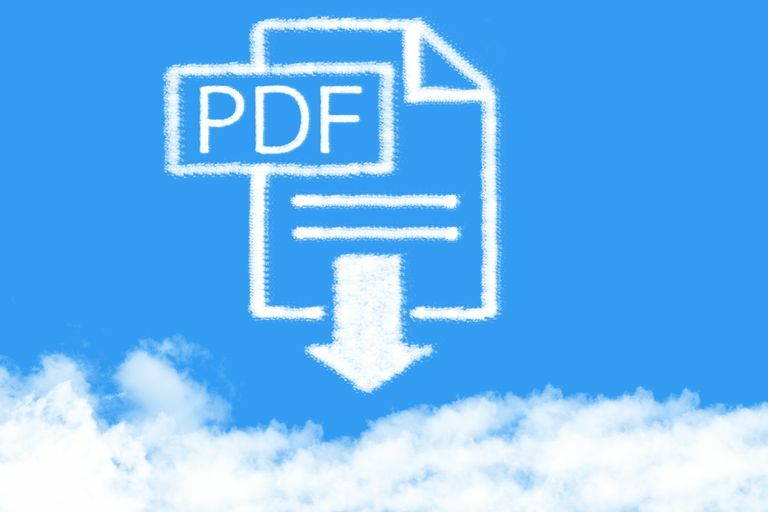 The content on most web pages can be exported to PDF format and viewed on virtually any computer, tablet or smartphone, even without an internet connection. Follow the instructions below to save a web page as a PDF in the browser of your choice. Click on the Chrome Menu button, located in the upper right-hand corner of your browser window and represented by three vertically-aligned dots. Chrome's Print interface should now be displayed. Click on the Change... button, found in the Destination section in the left menu pane. A list of available printers and other destinations will now appear. Select the one labeled Save as PDF. Click on the Save button and choose the location in which you want to save your new PDF file. You can also modify the file name before doing so. Unlike some of the other browsers in this article, it's much easier to save web pages as PDFs in Firefox through the use of a third-party add-on. While dozens of free browser extensions add this functionality to Firefox, we recommend the following option as it's easy to use when it comes to this particular feature and works well across all supported operating systems. FoxyTab: In addition to having some other really cool features, FoxyTab makes saving web pages in PDF format a breeze. Once installed, simply right-click on the tab containing the page that you which to save locally. When the drop-down menu appears, hover your mouse cursor over the FoxyTab option and select Save Tab as PDF. When the drop-down menu appears, select Print. Edge's Print interface should now be displayed, overlaying your main browser window. Click on the drop-down menu found in the Printer section, which usually shows your active printer by default. When the drop-down menu appears, select the Microsoft Print to PDF option. You might also see an option labeled 'Adobe PDF' in your Printer menu, depending on what Adobe applications are currently installed on your PC. If so, you can choose this option as an alternative. A Windows Explorer window will now appear, asking you to choose the location where you wish to save your PDF file. You can also modify the file name before doing so. Once satisfied with your choices, click on the Save button. Click on the Opera Menu button, represented by a red 'O' and located in the upper left-hand corner. When the drop-down menu appears, hover your mouse cursor over the Page option. Choose the location in which you want to save your new PDF file. You can also modify its file name before doing so. We go into more detail in our dedicated article on saving a web page as a PDF in Safari, but the steps below will get you a basic PDF. Click on the File menu, located at the top of the screen. You'll now be prompted to choose a file name and location for your newly-created PDF file. Once satisfied with your entries, click on the Save button to complete the export process. Click on the Gear icon, also known as the Action menu, located in the upper right-hand corner of the IE window. When the drop-down menu appears, hover your mouse cursor over the Print option. The Windows Print interface should now be visible, overlaying your browser window. In the Select Printer section, choose the Microsoft Print to PDF option.